Marissa Mayer, Chief Executive Officer at Yahoo, has created a global controversy by her ban on telecommuting. She contends that innovation mandates people collaborate in person, eyeball to eyeball, not via digital devices. Research backs up that, yes, working alone in one’s home office does boost productivity but it is a constraint on the bubbling up of new ideas. We at Image Marketing Consultants agree in the power of human beings joining together in person. One of our special areas of expertise is special events. What we find, special event after special event, is that human beings need to get together, in the flesh, where they can interact with each other, cell by cell. The power of that kind of interaction has been confirmed by researchers in the field of mirror neurons. We influence each other directly. 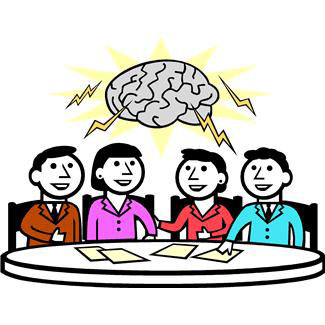 The professional who’s a type of Idea Factory will set in play the creative thinking of all the others there. The professional who’s known as The Implementer will start the ball rolling on how to test out the ideas. 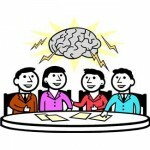 The professional who’s The Connector will get members of the group to sign up for tasks. Mayer’s decree will continue to be controversial. But there’s no question that there is a surge in demand of people finding ways to get together. Here at Image Marketing Consultants we are receiving increasing requests to plan and oversee special events. Kate Sirignano, founder of Image Marketing Consultants, invites you to a complimentary consultation for your special events, marketing, public relations, partnerships, and social media kate@imagemarketingconsultants.com, 203-404-4868.